Low carb curried turkey spinach meatballs start with low carb coconut curried spinach and taste great. These low carb curried meatballs are so versatile. 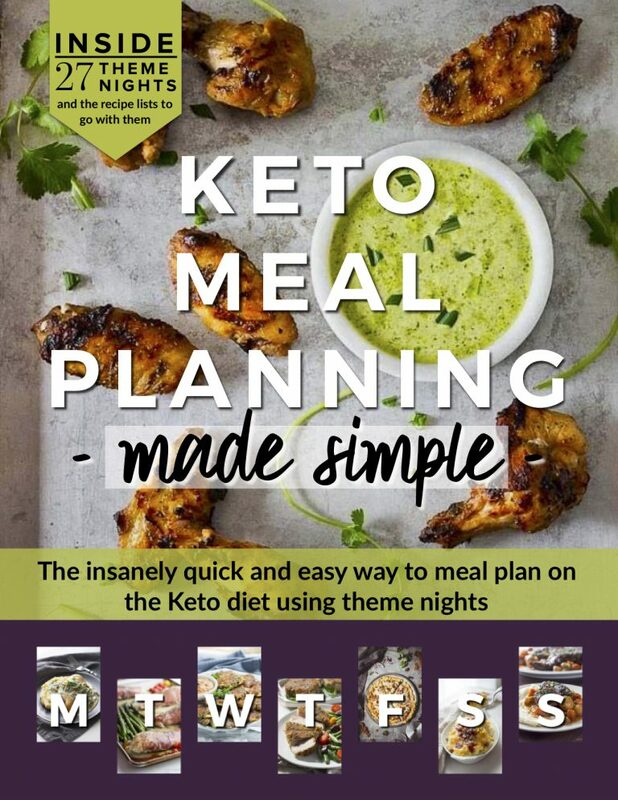 I have used them in soup and in Massaman Curry, I have served them with a simple pan sauce over cauliflower rice, and on their own as a snack. They just may be the perfect meatball of their kind. And, one batch makes 3-4 different meals that all taste great and freeze beautifully. This is a side dish I can whip-up in hurry. I have used it as a base for several recipes as well as eaten it as a warm dip for veggies and crackers. (insert NYC accent here) But, we’re talking meatballs here! 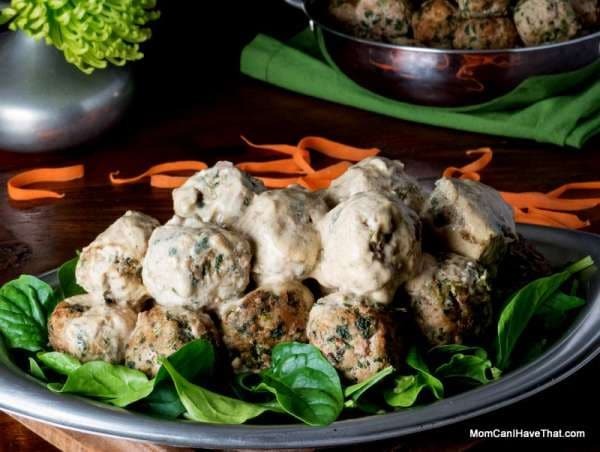 This low carb turkey spinach meatballs recipe makes a lot of meatballs, but it doesn’t take a lot of time to put together. 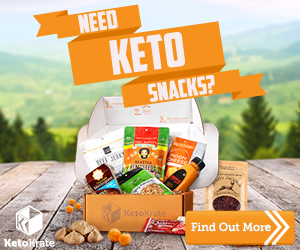 I think you’ll agree that it is super easy and super good! I like to pan fry 2/3 – 3/4 of them and simmer the rest in a soup. Three terrific meals can be made from this one recipe and this is what I make with them. For a vegetarian meal based on the same flavors, try the Grilled Portobellos Stuffed With Curried Spinach. My husband learned to love mushrooms again with that one! 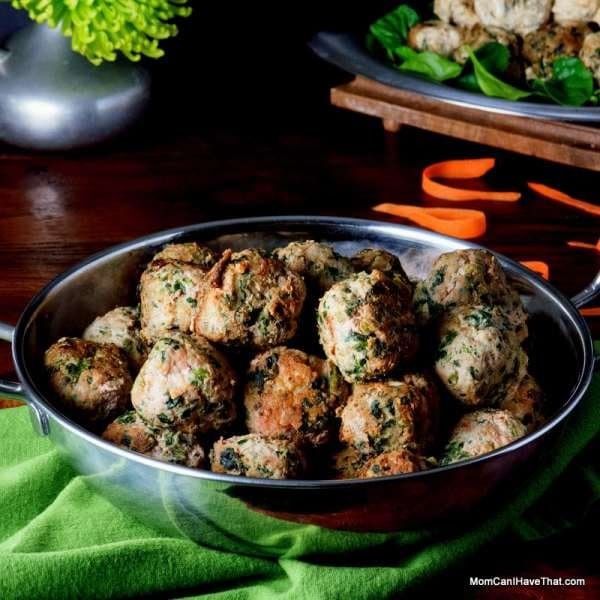 Each low carb curried turkey spinach meatballs is 1 carb. The combination of curried spinach and turkey meatballs is a winner. So versatile they can be used as a creative protein in curries, soup or on their own. They are one of the best meatballs I have ever had! I think you'll agree that they are awesome. Prepare the Creamed Coconut Curry Spinach according to directions. Cool. Add the three packages of ground turkey to a large mixing bowl. Add the salt and mix with a hand mixer to break-up the meat. 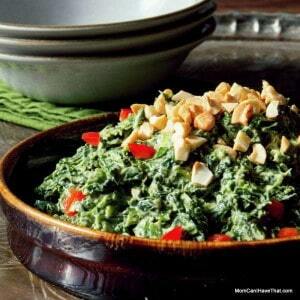 Add the creamed coconut curry spinach and mix thoroughly to combine, until the mixture is light and fluffy. Heat 1-2 tablespoons of oil in a large frying pan over medium heat. Put a small sheet pan or platter by the stove and lay a few paper towels on top. This is where you will put your cooked meatballs as they come out of the pan. When the oil is hot, begin rolling the meatballs into walnut sized balls and putting them into the frying pan to brown and cook. I cook about 10 at a time. Brown well on 3-4 sides and then remove to the paper towel lined sheet pan. Continue until all of the meatballs are cooked. To make the pan sauce for the meatballs: Add one can of coconut milk to the pan making sure to scrape up all of the brown bits from the bottom of the pan. Add the juice of one lime. Taste the sauce and adjust for sweetness and seasoning. Add 1/3 to 1/2 of the meatballs and warm them up in the sauce. Serve over cauliflower rice, rice or fresh spinach. Each meatball is 1 carb. Have you ever baked these? These look and sound delish but not sure I want to spend the time frying 60 meatballs. Thanks. Hi Kim – made your meatballs this week. All 5 of us loved them. Fried a batch and baked the rest (400 for about 20-25 minutes) as a test. Couldn’t tell any difference. I don’t think it is worth the hassle and mess to fry. I did want the browned bits for the sauce though. Still thought the sauce was bland and the bits didn’t add any noticable flavor. Next time, I will bake all and add a bit of curry powder or paste to the sauce for a little punch. Where do you find yellow curry paste? I’ve only ever seen green and red paste and love using them. I love the punch more than using powder. Also, in your ingredient list, it doesn’t list the ingredients for the sauce. It would be really nice to have that extra can of coconut milk and the lime listed for those of us who don’t always read the recipe all the way through before getting groceries. This one will go in rotation. Can’t wait to try more of your recipes. 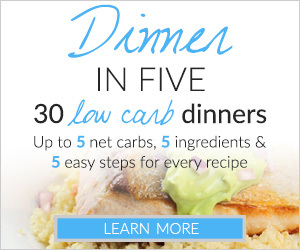 Just had this for dinner over spiralized butternut squash noodles – so delicious! Thanks so much for the awesome recipe! Emily, I’m so glad you liked the meatballs! 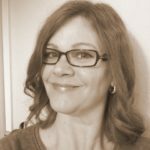 I LOVE my spiralizer and love the idea of having the meatballs over butternut squash! It sounds fabulous. Thanks! They look fantastic –Do you think they would freeze well? Heather- I think they would freeze GREAT! But, honestly, they haven’t stayed around long enough for that! I think the fat from the coconut milk would help keep them moist. If you freeze them, will you com back and let me know how they did? Thanks! I LOVE how you added spinach and curry to the mix here! Two of my favorite things. This sounds like a heckofa healthy, protein-packed meal! Pinned! Thank you! It is so good. If you try it, let me know if you enjoy it.